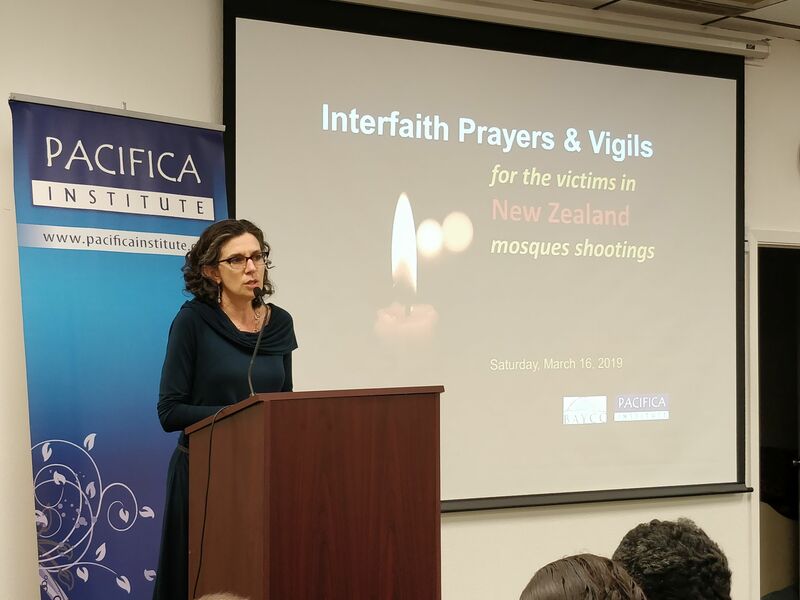 In the wake of the senseless tragedy in New Zealand, Bay Area Cultural Connections and the Pacifica Institute held an interfaith vigil to mourn those lives lost. 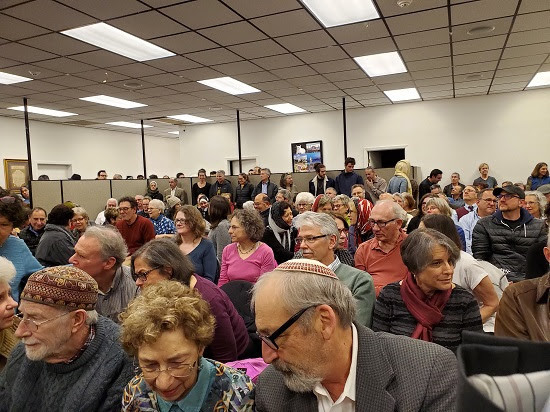 Representatives from the Jewish, Protestant, Catholic, Hindu and Buddhist communities attended, expressing solidarity with their Muslim neighbors. 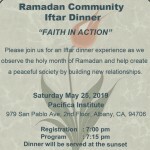 Speakers from various faith communities took the stage to share their thoughts or say prayers. 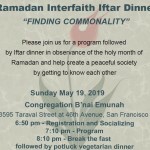 First to speak was Rabbi Chai Levy of Berkeley’s Congregation Netivot Shalom, which, along with the Pacifica Institute, has cosponsored a Muslim-Jewish dialogue for more than a decade. Rev. 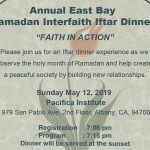 Will McGarvey, executive director of the Interfaith Council of Contra Costa County, expressed disgust with the racist motives behind the Christchurch attack. Other speakers at the Albany vigil included Rabbi Jacqueline Mates-Muchin of Oakland’s Temple Sinai; Sensei Elaine Donlin of the Buddhist Church of San Francisco; FBI Special Agent Kyle Blebsheimer of the bureau’s S.F. 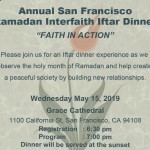 office; Fred Fielding, an Episcopalian trustee of the S.F.-based United Religions Initiative; Albany Mayor Rochelle Nason and the representative for Congressman Mark DeSaulnier from California’s 11th Congressional District.